Howdy! We are a dedicated, friendly team of professionals delivering world-class WordPress products & experiences. Because we believe that every individual, whether a web hobbyist, a professional or a small business owner, should be able to easily build the premium quality websites at an affordable price, instead of spending thousands of dollars on custom-made solutions that only the largest and the richest companies can afford. We do it by using WordPress, currently the world’s most popular content management solution for having performance optimized, highly secure and SEO friendly websites. We craft customer-centric, beautiful WordPress themes and plugins which we believe can take the default WordPress look and functionality to the next level, making it even more powerful, more flexible and more user-friendly. 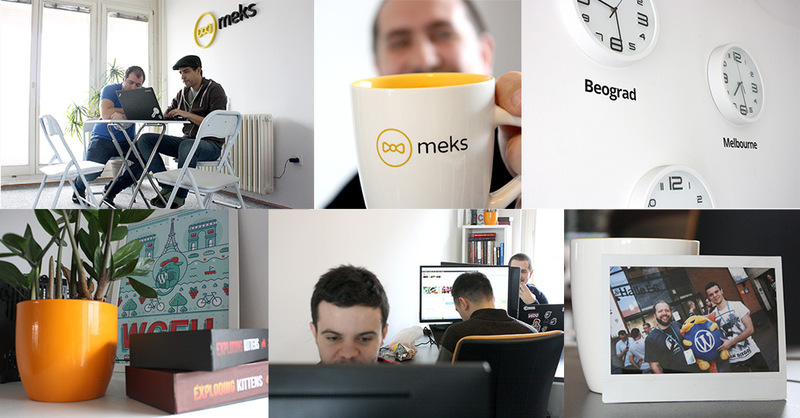 Over 30.000 happy customers around the world take pride in using Meks WordPress themes and plugins to power their websites. We believe their success is our success too. All of our products are rated with the best possible 5-star rating by our customers. It’s just a numeric confirmation that we are always happy to go the "extra mile". We carry the Power Elite author title on ThemeForest (Envato), which puts us among an amazing crew of top 1% companies on the largest marketplace of digital products on the planet.